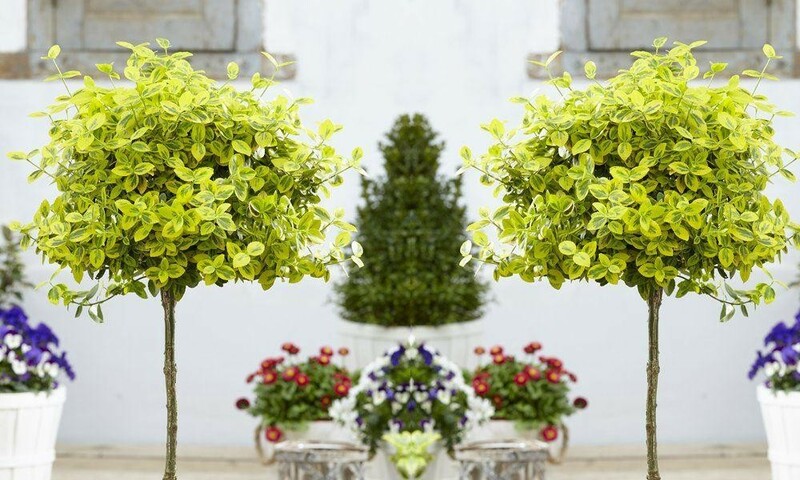 This lovely form of Euonymus, as the name suggested has bright emerald green and gold foliage, forming an attractive evergreen ball of colour above a nice straight standard stem. The fabulous golden yellow variegated leaves are brightest in new growth in Spring and Summer, yet retain the colouration all year round, only requiring an occassional clip to keep them neat and tidy. If you want something that will look bright and attractive throughout the year, even in the cold Winter months, then this is the plant for you. Perfect as a low maintenance feature in pairs either side of a doorway, flanking a path or gate. 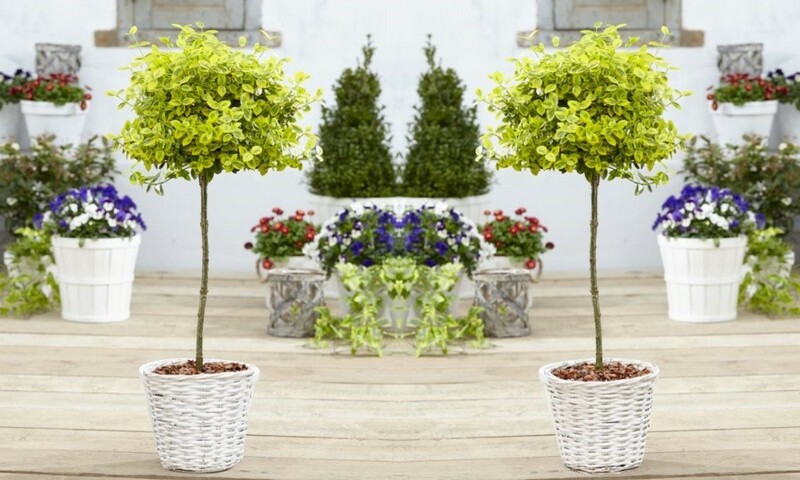 Pair of smart standard trees supplied, each with an attractive white display basket as pictured, overall height of around 80-100cms.